Mitali Perkins is the acclaimed author of such books as the middle-grade Jane Addam’s Award Honor Book Rickshaw Girl, which was included in New York Public Library’s 2013 list of ‘100 Great Children’s Books‘, and YA novel Bamboo People, narrated in the voices of two boys growing up on opposite sides of the conflict between the Burmese government and the Karenni people, one of Burma’s many ethnic minorities. 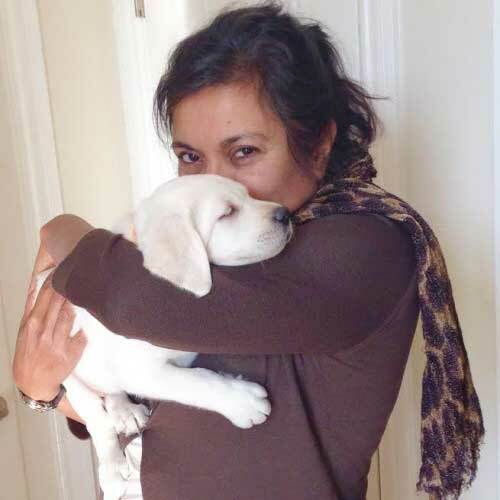 Mitali was born in Kolkata, India, and lived in a number of different countries before immigrating with her family to California in the US when she was seven. She has recently returned to live in the San Francisco Bay area with her husband, a pastor, after many years in Boston. 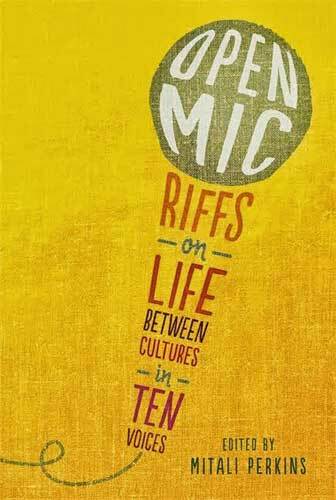 In 2013, Mitali edited as well as contributed to Open Mic, an anthology of writing from authors who have grown up between cultures, an area that she has written and spoken about eleoquently. Indeed, Mitali is much in demand as a speaker to both adults and young people, and I can vouch for how inspirational she is, having hung on every word when I heard her speak at last year’s Asian Festival of Children’s Content. Welcome, Mitali. Congratulations on the imminent release of Tiger Boy. I suppose it’s a while since you let go of the manuscript but I’m sure it’s as exciting as ever to hold a new book in your hands! I’m lucky enough to have read it already but I, and everyone else, I’m sure, would love to know how you would describe that moment? I just saw the book in hardcover and it is beautiful. The colors are bright and appealing. The thrill comes when I see a young reader’s head bent over the book. Can’t wait for that. 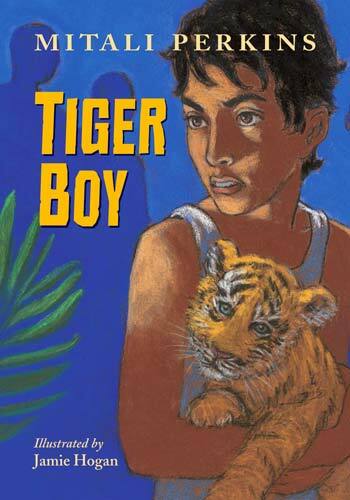 You originally thought of writing a story about tigers as a picture book, but Tiger Boy is, in fact, your first return to fiction aimed at a younger audience since Rickshaw Girl. 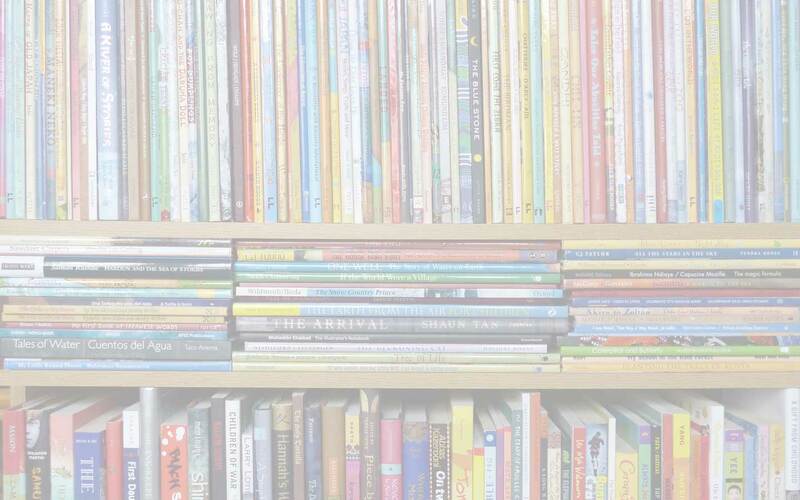 How did the story develop on its journey from picture book to novel? I’ve been trying to write a picture book for years. Rickshaw Girl, Tiger Boy and Bamboo People all started as picture book. My voice, however, in all three stories, was definitely more appropriate for a novel or chapter book. My Charlesbridge editor, Yolanda Scott, painstakingly and purposefully midwifed each one into a longer story. We had many, many rounds of revision. She is extremely patient. What research did you do at the outset? I first met Bengal tigers in Chiang Mai, Thailand (where the photo is taken), but I have always been fascinated with their majesty and survival since they hail from the region of my origin. 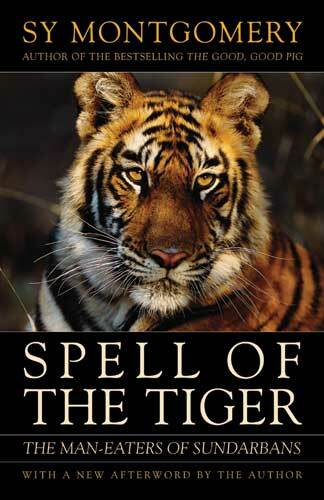 I read Sy Montgomery’s Spell of the Tiger: The Man-Eaters of Sundarbans, a non-fiction book I highly recommend, and it inspired me to think of using that setting in a work of fiction. I also read widely online about Bengal tigers and learned as much as I could about the Sunderbans region before visiting in person. 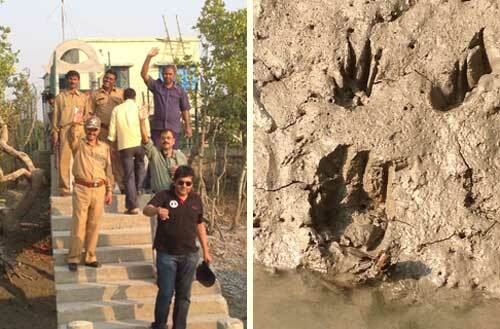 Around this time two years ago you went to the Sunderbans and you talked a little bit about your visit on your blog. Can you tell us more about that trip and what it felt like to get close to a tiger and to encounter fresh pugmarks in the wild? It was magical experiencing the place I had been researching for so long with all five of my senses. My good friend was the U.S. Consul General based in Kolkata, and we accompanied him on a trip where I was able to meet some of the finest minds working on behalf of the Sunderbans. 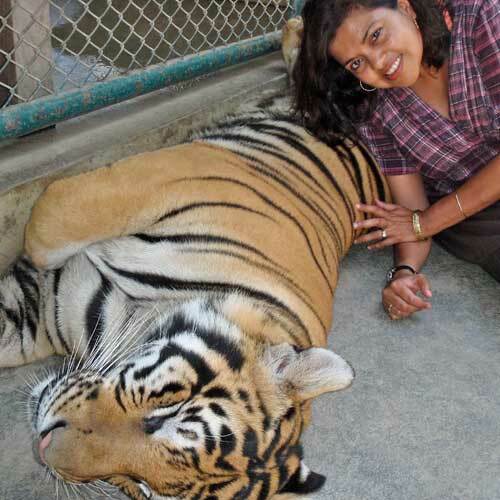 They are experts who want to save the tigers and serve the struggling communities in the region. The rangers took us on a guided boat trip along the waterways. We travelled between and into the islands when suddenly one of the ragers spotted the pugmarks. We stopped and listened for the rustle of the wild, elusive creature who had crossed the muddy bank minutes before we had, but there was no sign of her. I love how you paint such a vivid portrait of the Sunderbans in your book, so that the reader feels immersed in the concerns and dilemmas of a community committed to the conservation of the tigers and the sundari trees that make up most of the mangrove forests, but also facing challenges for their own survival. Did you make any changes to your manuscript following your visit? Yes, several. No matter how many videos I watched online, there was nothing like being in the place with all senses engaged. I smelled, touched, tasted, listened, and watched. Also, since I speak Bangla, I was able to talk with the villagers as well as with the rangers. I also asked the head ranger how likely it was for a boy to interact with a tiger cub as Neel does in the book, and he offered me several suggestions to make it more authentic. Have the rangers you talked to seen Tiger Boy yet? Did you make contact with any schools or libraries when you were there? Not yet; I hope they like it. Yes, I spoke at several schools in Kolkata, but not in the Sunderbans. It is going to be released in English in India by Duckbill Books, so I am eager to see the response of readers there. I was really interested to read in your afterword that the story of Tiger Boy is based on Jesus’ Parable of the Talents (Matthew 25, 14-30). At what point in the creative process did you make that assimilation? Very early. I wanted to write about our responsibility to steward the planet by putting to use our gifts, and that parable encourages us in that direction. I often meditate upon the parables as I write. He was a master storyteller, so I can learn much from his use of metaphor and surprise endings. The illustrations in Tiger Boy are by Jamie Hogan, who also illustrated Rickshaw Girl. What do her illustrations bring to the story, for you as the writer? I feel like an architect who walks into a house after a master interior designer has finished her work. It is a marvellous, joyful collaboration of two different kinds of imaginations. You have been an advocate for diversity in books since long before it hit the headlines. What positive steps have you seen these last couple of years and in what ways is the publishing industry responding to the We Need Diverse Books campaign, do you think? Editors are open like never before to books featuring diverse characters. This thrills me. Unlike you in the U.K., though, we in the U.S. are more insular in our tastes. I hope the appetite for global stories grows along with books that feature American characters of every ethnicity. At the Asian Festival of Children’s Content in Singapore last year, you spoke eloquently about books as mirrors and windows, and the correlation between universal themes and cultural specificity, as well as the myth that people only want to see themselves in stories. Looking back at your own career, how have these issues affected you as a writer and what you write about? I am bolder about my creative choices. If I dig deep into the combination of empathy, research, and imagination, I am free to write about many different subjects. My forthcoming picture book features a Mexican-American girl. This is even more removed from my own experience than the Burmese and Karenni boys who were my protagonists in Bamboo People. You also said that, as a writer, you have to ‘learn to cross borders’. Could you say a bit more about that? All fiction crosses borders – we are adults writing about children, men writing about women, women writing about men, etc. If it features a character who is exactly like us, it becomes memoir. Writing fiction isn’t about whether we cross borders, it’s about which ones, and why, and how. For me, those latter three questions require much prayer and reflection, especially when crossing a border from a place of more power to write about a child with much less power. In your introduction to Open Mic, you say the following: ‘Writing that explores issues of race and ethnicity with a touch of humor must stay closer to memoir than other kinds of fiction on the spectrum of storytelling.’ Why is that? Humor is particularly effective in storytelling because it disarms and opens the heart wide to receive the story. Because of this, we have to tread even more carefully if we cross borders of power in our writing. Did you enjoy the experience of editing the Open Mic anthology? My contributors and the Candlewick editors were wonderful, but I found it difficult to walk the fine line between editing and overriding somebody else’s authorial voice. It was agony, actually. 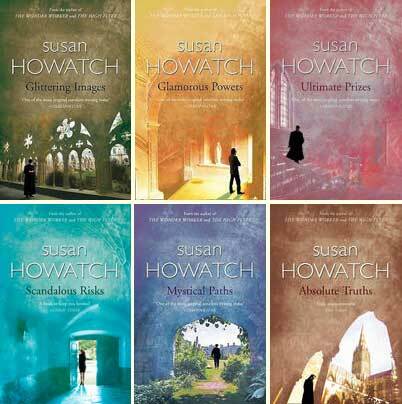 Have you ever thought of writing a full-length novel based on your own childhood? I am working on that right now! Funny you should ask! As well as being busy with the launch of Tiger Boy, can you tell us what you are working on at the moment? Just yesterday my agent sold my first picture book (which I mentioned earlier) in a two-book deal. Finally, I was able to produce a story in a voice appropriate for that genre! More to come on that; for now it’s fresh and so very exciting. I have to write the second one now and ideas are stirring. 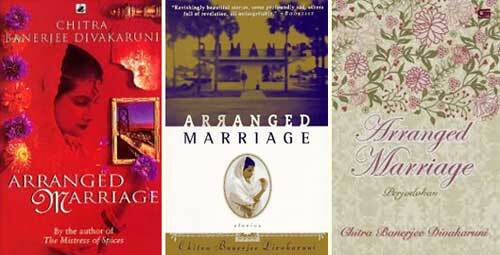 The Namesake by Jhumpa Lahiri and Arranged Marriage: Stories by Chitra Banerjee Divakaruni because they are about the Bengali-American experience, not just about India. 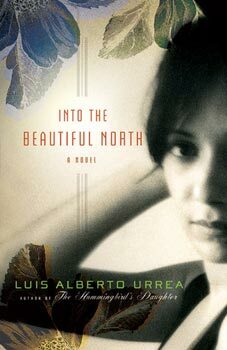 Into the Beautiful North by Luis Urrea took me to a small town in Mexico and the Mexican-American border. Both! The hike first followed by the beach. Your favourite tree (generally or specifically)? Mature California oaks and Banyan trees that grow in Asia. Afternoon tea at Brown’s hotel after reading Susan Howatch’s Church of England novels. As I just finished the picture book and speaking at some gigs, I am catching up on emails on this sunny Saturday. Meanwhile, the laundry machines are whirling, the fridge is empty, and my parents are anticipating a visit for afternoon tea. All photographe are © Mitali Perkins and are used with permission. 'Branching Across the World: Trees in Multicultural Children's Literature, Arranged Marriage, Asian Festival of Children's Content, Bamboo People, Charlesbridge Publishing, children's books set in India, Chitra Banerjee Divakaruni, Duckbill (India), First Daughter: Extreme American Makeover, First Daughter: White House Rules, Into the Beautiful North, Jane Addams Children's Book Awards, Jhumpa Lahiri, Luis Alberto Urrea, Mitali Perkins, MWD interview, Open Mic: Riffs on Life Between Cultures in Ten Voices, Rickshaw Girl, Secret Keeper, Spell of the Tiger: The Man-Eaters of Sundarbans, Susan Howatch, Sy Montgomery, The Namesake, Tiger Boy, We Need Diverse Books, Yolanda Scott. Bookmark. What an interesting life this author has led. The tiger book looks especially appealing. Thanks for sharing and happy hopping! It’s out now, so do get hold of it; it’s a wonderful story! Great, informative post. Mitali Perkins is such an awesome writer and person. Thank you, Julie. I hope you’ll get a chance to read Tiger Boy. Wow! What an interview. So glad to get to know Mitali. Thanks for introducing us to this fabulous author and her books on the Kid Lit Blog Hop! What an intriguing interview. 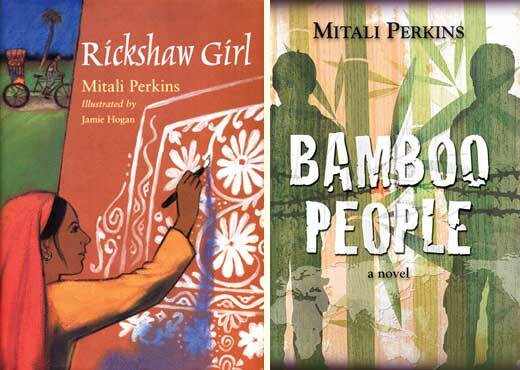 It was wonderful to learn so much about Mitali Perkins and her books. Thank you for sharing this on the Kid Lit Blog Hop. 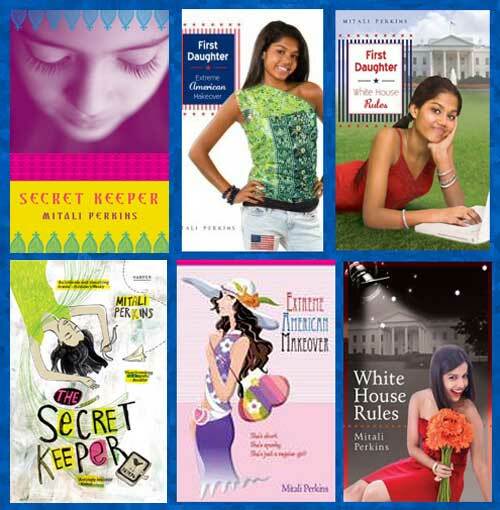 Thank you, Stacie – I’m glad you’ve enjoyed getting to know more about Mitali and her wonderful books! Visit Mitali's website and renowned Fire Escape Blog. Find Mitali on Twitter, Instagram and Facebook. Read Jamie Hogan's blog post about the background to her illustrations for Tiger Boy. 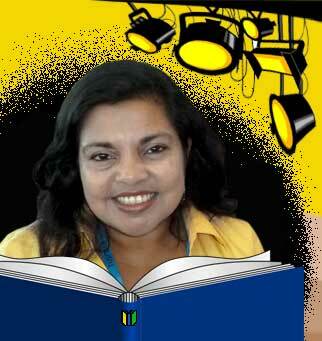 Listen to Mitali introduce Rickshaw Girl and read an extract.